In The Origin of Species, Charles Darwin cast his theory of evolution centered on a “struggle for life” principle – coined as the “war of nature” or the “survival of the fittest” in 1859. This principle is presented in the complete title of his legionary book – On the Origin of Species by Means of Natural Selection, or the Preservation of Favoured Races in the Struggle for Life. Competition increases with increasing similarity. “As the species of the same genus,” Darwin argued, “the struggle will generally be more severe between them, if they come into competition with each other, than between the species of distinct genera.” Since then, however, the evidence directly challenges Darwin’s principle of evolution. To test this hypothesis, a research team headed by Bradley Cardinale, of the University of Michigan, performing experiments on 60 species of fresh water green algae “failed to support Darwin’s theory,” according to Marlene Cions of the National Science Foundation. 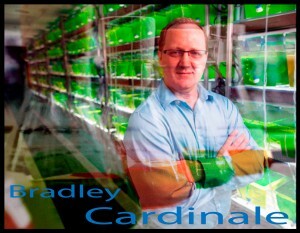 Cardinale’s research team included Charles Delwiche, professor of cell biology and molecular genetics at theUniversity of Maryland, and Todd Oakley, a professor in the department of ecology, evolution and marine biology at theUniversity of California, Santa Barbara. In an interview with Cions, Cardinale explained that they were so uncomfortable with the results that they spent the next several months trying to disprove their own work. But the research held up. “The hypothesis is so intuitive that it was hard for us to give it up, but we are becoming more and more convinced that he wasn’t right about the organisms we’ve been studying,” Cardinale says. Strangely enough, the research was not intended to test the validity of Darwin’s theory. “The hypothesis is so intuitive,” or so it seemed Cardinale reasoned. The intention of the research, supported with $2 million grant from the National Science Foundation in 2010, was to prioritize future conservation campaigns. “If Darwin had been right, the older, more genetically unique species should have unique niches, and should compete less strongly, while the ones closely related should be ecologically similar and compete much more strongly — but that’s not what happened,” Cardinale declared. “We didn’t see any evidence of that at all. We found this to be so in field experiments, lab experiments and surveys in 1,200 lakes in North America where evolution cannot tell us which species co-exist in lakes in nature. Even the simplistic instinctive behaviors of algae asphyxiates Darwin’s guiding principle of evolution and the industry cult — evolutionism. Biological evolution exists only as a philosophical fact, not as a scientific fact.